Schedule your Exercise – Make morning exercise as important as a session for something you would never miss. Be Prepared: Always be fully prepared for your next morning’s workout. For example, get your exercise gear ready in advance and prepare a healthy snack overnight to have after your workout. Furthermore, figure out what you are going to do in the morning the night before. If you want to do something on the machines then keep those machines ready and functional. Stay Focussed: Always remain true to your cause and do not let anything deviate you from your destination. For example, if you are practicing with your trainer, always keep in mind how much of your money will be wasted if you miss a session. Find a Partner: Try to find someone who is willing to be of good company during your morning exertions. Both of you will encourage each other if one of you feels demotivated. You can start healthy competition by challenging your partner to come to gym earlier than you or to achieve a fitness goal faster than you. Join a Class: Join a morning physical exercise class and attempt to see it through as you would not like to quit in the middle of the session. Write your experiences down: Keep preserving your precious memories of those early day routines. These memorandums will encourage you to keep going and not stop at any stage of your campaign to get fit. 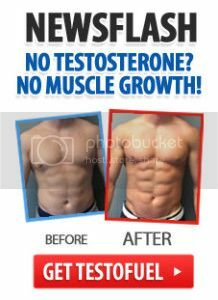 Enhances the production of testosterone for men and women that is very important for building lean muscle. Morning exercises keeps you physically and mentally healthy. A regular morning exercise should be the heart and soul of any programme attempting to develop fitness. Do you know if studies have shown that morning exercise is more beneficial than, say, exercise in the evening? I personally love exercising in the morning, it is a great start to the day! Exercise is healthy no matter when it’s done Hilary but if you want to lose weight then it’s best to exercise in the morning. Your body burns fat especially well at that time. On the other hand evening exercise is a great way to relieve stress after a hard day at work though. It’s really all up to you and what you feel most comfortable with. Thanks so much for your comment!